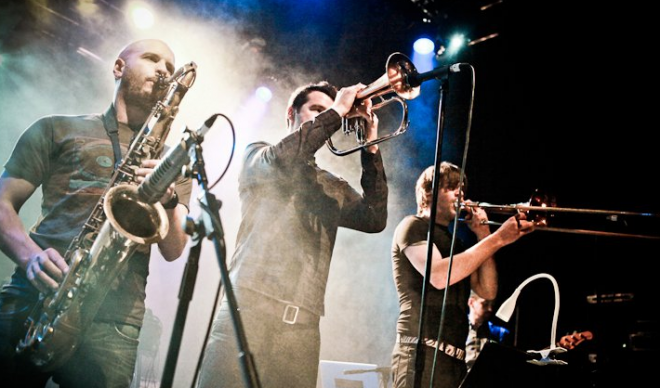 Mike founded London-based three-piece freelance horn section The Killer Horns in 2007. Since then, the section have worked together for many years gigging, recording and touring with some of the UK’s top artists. All three are extremely experienced performers, composers and arrangers. Together, they are able to work quickly and efficiently to produce high quality, powerful and catchy horn lines, and deliver professional, high-energy performances – whatever the context or style of music. Collective session and live credits include Muse, Sam Smith, Pete Tong and the Heritage Orchestra, Bonobo, Chronixx, Dizzee Rascal, Tim Minchin, The Who, Roni Size, Kim Wilde, The Cinematic Orchestra, Jamie Cullum, Jamie Woon, The Royal Philharmonic Orchestra, Bat For Lashes and many many more! The Killer Horns are always available for new projects (studio, live or touring), so feel free to get in touch! All Rights Reserved. © Mike Lesirge.